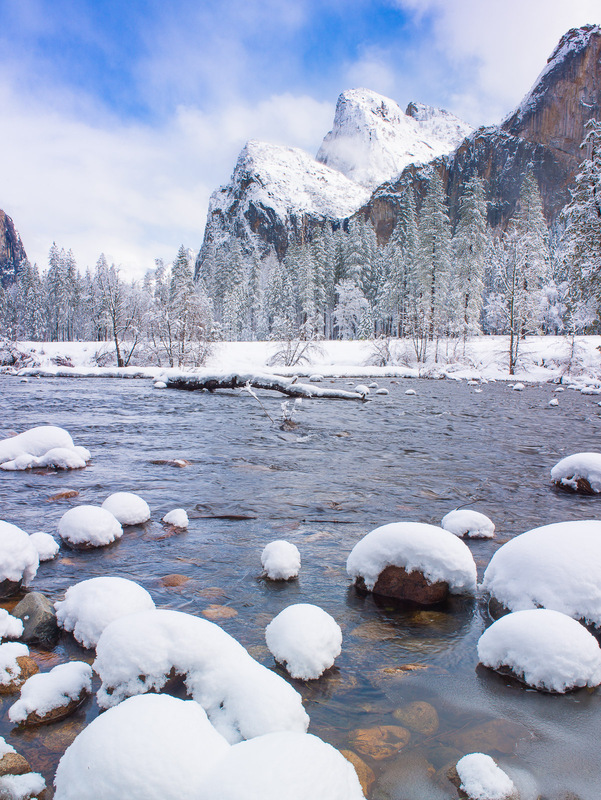 There is a feeling of being in a special wonderland when you are in Yosemite with fresh snowfall. The place becomes a winter paradise with waterfalls and rivers flowing among white encapsulated trees. I never can get enough. Photo © copyright by Lance B. Carter.